Having sold most of my Imperial Guard army, I’ve been putting together a new Chaos themed Guard army to go with my Iron Warriors. After a year of collecting, I’m ready to start painting it all. 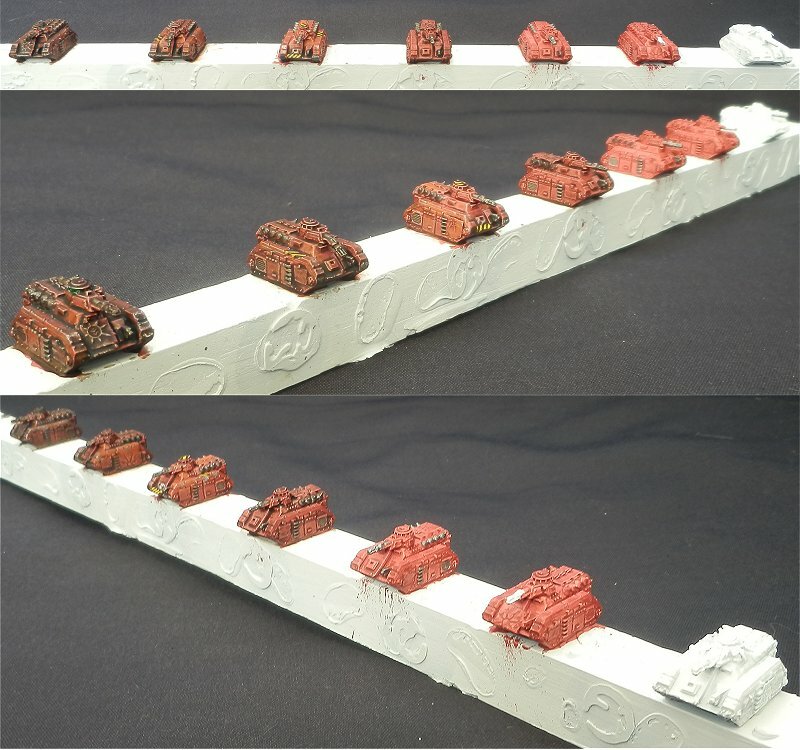 Here are the first few super-heavy tanks to test the colour scheme. I’vfe gone with red as the human troops that fight with the Iron Warriors in Storm of Iron are described as wearing red clothes. Here’s a quick pictorial of how I painted these vehicles. 7 Responses to Chaos Themed Guard army. Where did you get your Epic tyranids? I built up the army over several years from various sources. If I were to build a Tyranid army now, I would buy all the miniatures from Onslaught Miniatures (link on the right side bar). I’m getting there! I want to take my time with this army (and we’ve been really busy in the last few months). You using FW etched brass on those symbols? Yup, I bought 3 sheets to help theme the army.